Battle Tactics of the Western Front: The British Army`s Art of Attack, 1916-18 by Paddy Griffith is a very interesting book. The premise is that despite what many historians have said about the inertia of the British Army in WWI and it’s resistance to tactical change, that is not true and the British were committed to innovation throughout the war in an effort to break the deadlock of the trenches. The book itself is not long, 219 pages of text including appendices. There are extensive endnotes and the bibliography is fairly extensive as well. The book is organized topically and though it purports to only deal with the developments of the last two years of the war that is not strictly true. It is divided into 4 parts and with 11 chapters and 3 appendices. The 4 parts cover an extended introduction, infantry, heavy weapons, and the conclusion. Of particular note to me was his appendix decrying the lack of battle history in recent scholarship in preference for social military histories. That is a topic that speaks volumes to me. His analysis of the evolution of infantry tactics during the war is incisive and he is wholly correct in saying that the infantry and their commanders were not the static cannon fodder often portrayed in the history books. 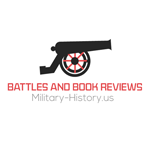 I particularly found his discussion of the actual impact that machine guns, artillery, and tanks had on battlefield success interesting. He correctly stresses that despite the claimed effects of these wonder weapons, particularly the tank, they were not the war winning weapons that most histories paint them to be. While the tank is dramatic, it played a decidedly secondary role in WWI. Any good history of the methods that won the war should instead focus on the role of artillery and infantry because it is that combination that developed and executed the ground warfare tactics that led to victory and the breaking of the trench stalemate. This is an interesting study and while it is by no means the final word on WWI tactics, it is a breath of fresh air into a topic that many historians have considered closed for many years. I highly recommend this book to anyone who is dissatisfied with current WWI tactical historical interpretations.